You can search PontoonsOnly for your next Pontoon boat using the search area to the left and below. We make it very simple to search our site for new and used pontoon boats. 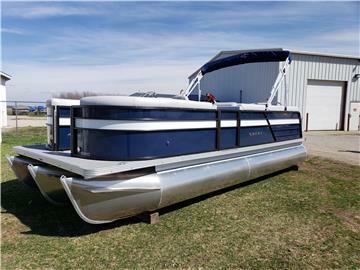 With just a few clicks you could find the perfect pontoon boat for sale that is right for you! If you have any questions about pontoon boats that are listed for sale, please use the contact seller form on each individual pontoon boat details page. If you have questions for us at PontoonsOnly.com, feel free to call us at 309-371-0095.